Buying a used car instead of a new one is a great way to save money. 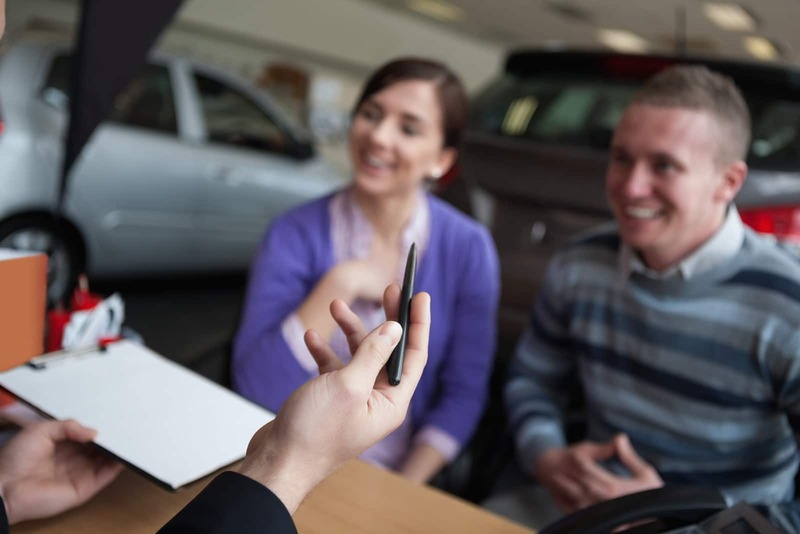 A used car will be less costly to buy, but also less expensive to insure. When you buy a new car, you take a huge depreciation hit as soon as your back tires leave the lot. Choosing a used car helps you avoid that problem while lowering your overall expenditure. 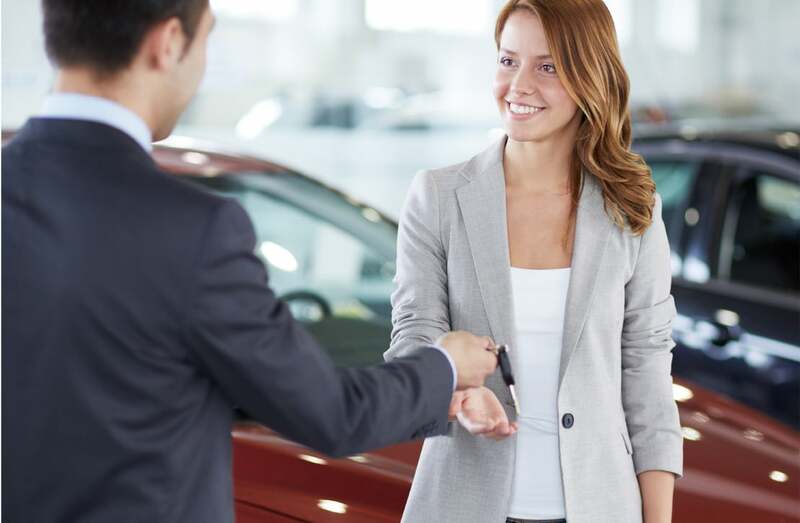 You might think that buying a used car is risky, but with the right preparation you can get a great set of wheels at a great price. If you carefully inspect the vehicle, you can be sure that the used car you buy will be as reliable as a brand new model. Whether you buy a used car from a car lot or a private party, it is important to thoroughly check it out before you get in the driver’s seat. This thorough inspection can help you avoid getting a lemon and allow you to spot problems you might otherwise have missed. Start by making sure the vehicle is sitting on level ground. You will be checking the fluid levels, and the car will need to be level in order for you to get an accurate reading. Having the car sitting on level ground will also make it easier to check things like tire wear and alignment. Pull the dipstick for the oil and check the level. You will need to first wipe the oil off the dipstick and find the indicators. Then place the dipstick back in, pull it out and read it. The oil level should be between the add and full lines. If the oil level is low, the vehicle could have a leak. Check around the engine block and oil filler area, looking for any dried oil or other residue. Accumulated residue or dirt in this area could indicate a leak, especially if the oil level is also low. Once you are done checking the oil, you can move on to the appearance of the paint. Look for any rust spots, scratches or dents. Rust spots on the surface could mean that more rust is lurking under the surface, and that can be expensive to fix. Dents and scratches could mean the vehicle has been involved in an accident, or that it has been improperly repaired. Look also for areas where the paint colors do not match. Mismatched paint could also indicate a substandard repair job and a previous accident. If you have any suspicions, you should ask the seller for a complete vehicle history, or have one done yourself. While you are examining the car, run your fingers along the edge of the joints where they join the body panels. If those areas feel rough, it could be residue left over from masking tape. That can be another indication of a hurried or poorly done repair job or paint touchup. Open the trunk and check its condition carefully. Look for holes and other signs of rust or water entry. You can tell a lot about how much the car has been used by the condition of the trunk. If the seller claims the car only has 20,000 miles on it but the carpet in the trunk is severely worn or discolored, the odometer may have been rolled back. Head back to the front of the car and look under the hood for any dents or rust. Check the area where each front fender joins the hood. You should see a small decal with the vehicle identification number (VIN). If that decal is missing, the fender may have been replaced due to an accident. While you are at it, check the VIN decals and the make sure they match the VIN plate on the dashboard and the VIN on the registration card. If the vehicle identifications numbers do not match, you should abandon the vehicle and look elsewhere. Check the hoses and belts under the hood, looking for any bulges, dry spots or cracks. Feel the radiator hoses carefully. If they are soft they could be damaged and about to break. Now it is time to get in the car and inspect the interior. Check the upholstery for tears, rips and discoloration. Like the trunk, the interior of the vehicle is a good indicator of how much it has been used and how many miles it has traveled. Be suspicious of a low mileage car that shows extensive wear and tear on the inside. Turn the key on but do not start the car. Watch the indicator lights on the dashboard and make sure they are all illuminated. You may need to consult the owner’s manual for the list and location of warning and indicator lights. If any of the lights are missing, the bulbs that control them could be burned out. The last thing you want to do is buy a car whose check engine light would be on – if the bulb were working. If the vehicle has air conditioning, turn it on and make sure it works. It should not take more than a few seconds for the air to get cold if the compressor is working properly. Check the heat as well and make sure it does not take too long for the warm air to start flowing. 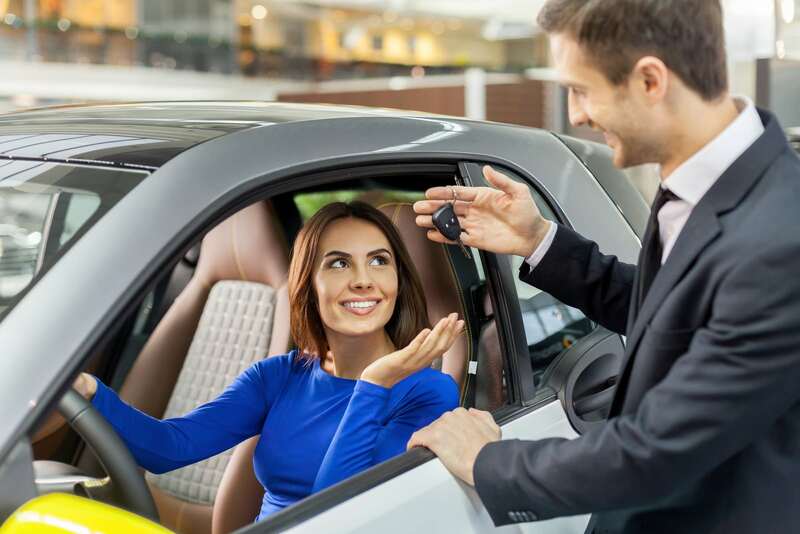 Now that you have thoroughly examined the interior and exterior of the vehicle and checked the oil, belts and hoses, it is time to take it for a test drive. Aim to make your test drive as similar to your normal driving behavior as possible. If you take the freeway to work every morning, be sure your test drive includes lots of freeway driving. This will give you a chance to assess how the vehicle accelerates and how easy it is to merge into rush-hour traffic. If you do lots of stop-and-go driving, be sure your test drive mimics that as closely as possible. You will need to feel comfortable and safe in the vehicle, and the test drive gives you a chance to test your comfort level. Your test drive should include a number of emergency maneuvers, including rapid breaking and fast turns. It is best to find an empty parking lot or other safe place for these maneuvers, but they are important parts of the test drive. Feel the brakes as you decelerate. They should not feel soft or spongy. The car should stop squarely, without sliding or skidding. If the brakes pulsate or vibrate, the brake pads or rotors could be worn or damaged. When you turn the wheel sharply the car should remain under control, and it should be easy to put it back into a straight line. If the car feels hard to control, you could have a power steering fluid leak or a worn belt. Now that you have driven the car and warmed it up, you can move on to your post-test drive assessment. Start by checking the transmission fluid, something that is best done while the car is still warm. Leave the car running, open the hood and locate the transmission fluid dipstick. Pull the dipstick out, wipe it clean and replace it. Pull it back out and look at the color and texture. The fluid should be red or reddish brown, not dark brown or black. You should not see any metal flakes or filings; these could be indications of internal damage. Smell the fluid; it should smell clean and fresh, with no burning odor. Turn the car off and remove the oil filler cap. Look for a foamy residue inside the engine block. This is a classic indicator of a leaking head gasket – something that could cost a lot of money to repair. Check the condition of the engine coolant as well. If the coolant is brown, it may never have been flushed. Brown coolant can also indicate a blown or leaking head gasket. Go to the front of the car and examine the tires. Each tire should show even wear. If the wear is uneven, the front end of the vehicle could be out of alignment. This bad alignment could indicate worn components in the steering and suspension system. Check the condition of the back tires as well. They should show even wear and proper inflation. The more you know about the used car you are looking at, the easier it will be to get a good deal. If your pre- and post-test drive assessment uncovers potential problems, you can use that information to negotiate a better price. If the radiator hoses are worn and need to be replaced, you can ask the seller to knock money off the asking price so you can replace the worn parts. If you uncover potential serious problems like a leaking head gasket or power steering leak, you may want to pass on the car. If you are mechanically inclined or know a good mechanic, however, you might be able to use those defects to get an even lower price. Either way, being an informed consumer is the best way to get a great used car at a great price.